± /mo for 12 months with new service. After 12 months $99.99/mo. regular price applies. Speeds vary based on service address. Not available in all areas. Cincinnati Bell 100Mbps Fioptics Internet lets you enjoy the fastest residential internet in the city with 100 Mb speeds. Internet that can't be matched by the cable company -- in fact, it's twice as fast! Never experience a bandwidth issue with lightning fast 100 Mb speeds, download multiple HD movies, support multiple online devices and send the latest home video without the wait! ESPN3 included at no extra charge! Fioptics Internet - Internet that's faster than fast. Get the fastest, period. 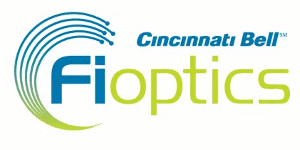 Cincinnati Bell's Fioptics network delivers the fastest Internet in Cincinnati and surrounding areas over an advanced fiber optic and copper network with download speeds up to 100Mbps — perfect for uninterrupted HD streaming, downloading, uploading and sharing at ridiculous speeds. Do the things you love, only faster! Free Wireless Networking - Internet almost anywhere in your home - and enough to share. Connect wirelessly to the Internet using your laptop, iPad or smartphone. Unlimited Online Backup for all your photos & music available - Safely and easily store, manage & share your content. It's easy! This all-in-one service allows you to simply upload and protect your treasured photos, documents, music & videos. Securely access your files from anywhere from within one simplified user interface. Get Unlimited Online Backup for just $4.99/mo. Internet Security available - Get up to date Virus, spyware, spam, firewall, phishing, and indentity theft protection all without slowing down your PC. 5 Free email accounts - Get 5 Free email accounts. Chat with friends and never miss an important email. * For 12 months when you activate new Internet service. After 12 months $99.99/mo. regular price applies. Speeds vary based on service address qualification.